Just south of the Gateway Arch lies the flood wall, which protects St. Louis from flooding on the Mississippi River. 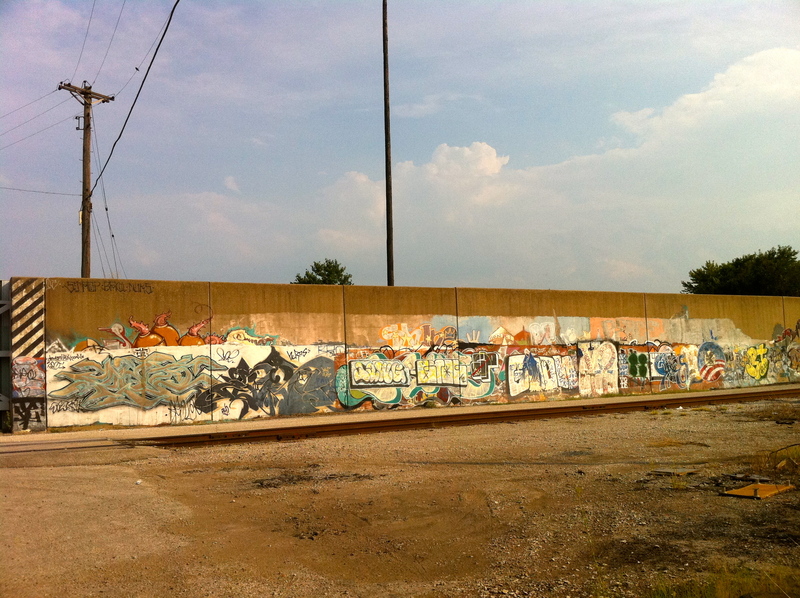 While the flood walls extend on both sides of the river for at least 30 miles in each direction, the wall directly south of the Arch is very famous due to a street art project called Paint Louis, which occured in 1999. Paint Louis involved hundreds of street artists from around the world converging on St. Louis to paint about a mile of the flood wall. 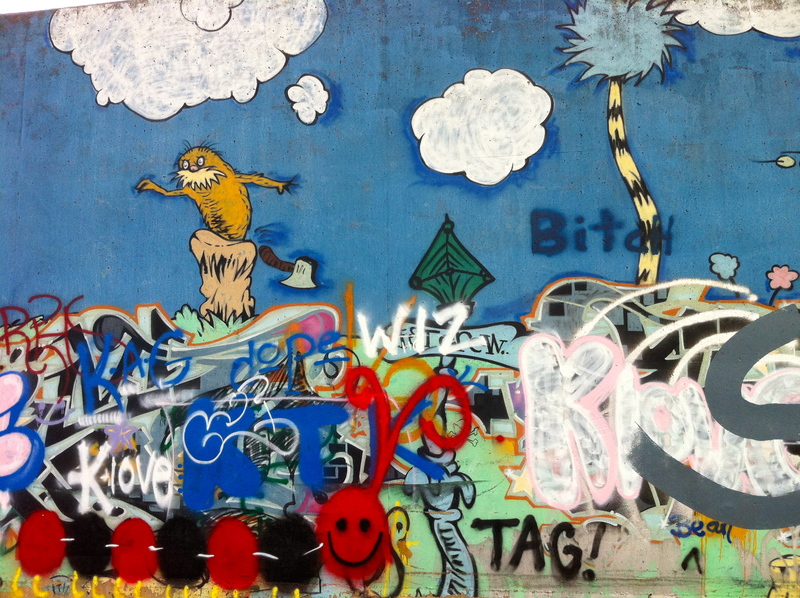 The artwork is truly amazing, although most of the art is covered up by graffiti (which is different from street art). Luckily, Paint Louis made a return in 2013 with brand new street art. So if you have the chance, go down to the flood wall to see the art before it gets tagged over. Close up. The tagging definitely ruins the amazing artistry of Paint Louis.